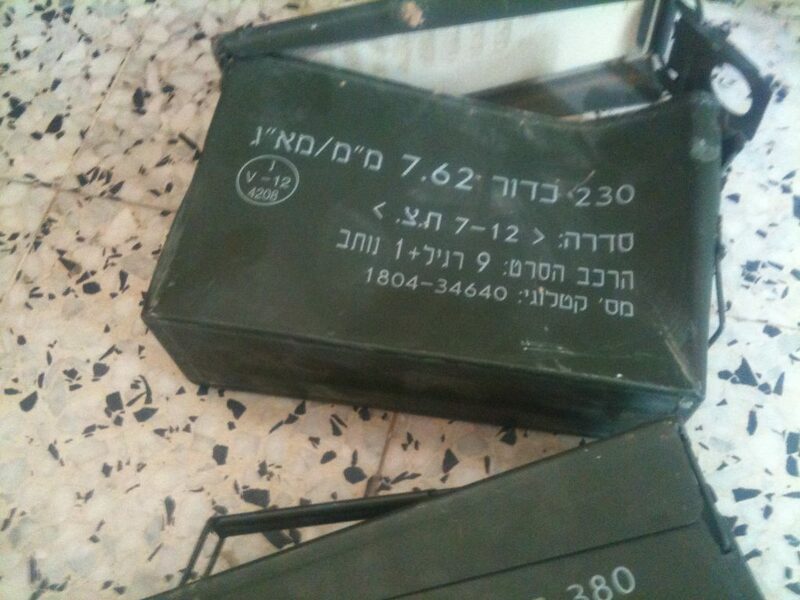 As the anniversary of last year’s seven week long massacre by Israel in the Gaza Strip draws closer, evidence obtained by Corporate Occupation shows that a French company manufactured equipment used by the Israeli military in Gaza last year. 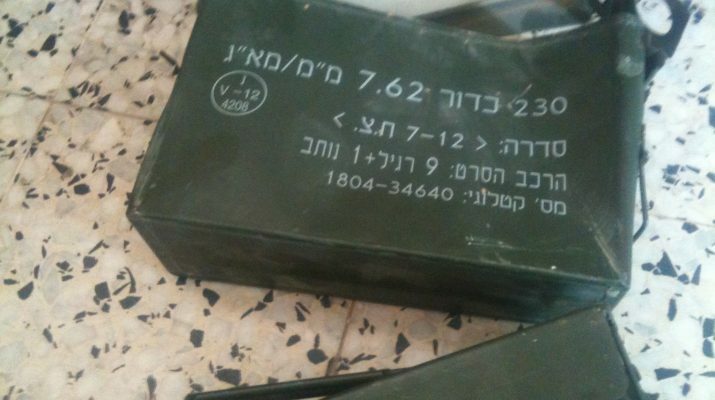 Photos taken by International Solidarity Movement activist Charlie Andreasson on 7 August 2014 show that a military battery pack manufactured in the US by French company SAFT was discarded in the village of Khuza’a in the southern Gaza Strip after one of the worst massacres of the attack. The photos were taken in a house which was occupied by Israeli soldiers during July 2014. 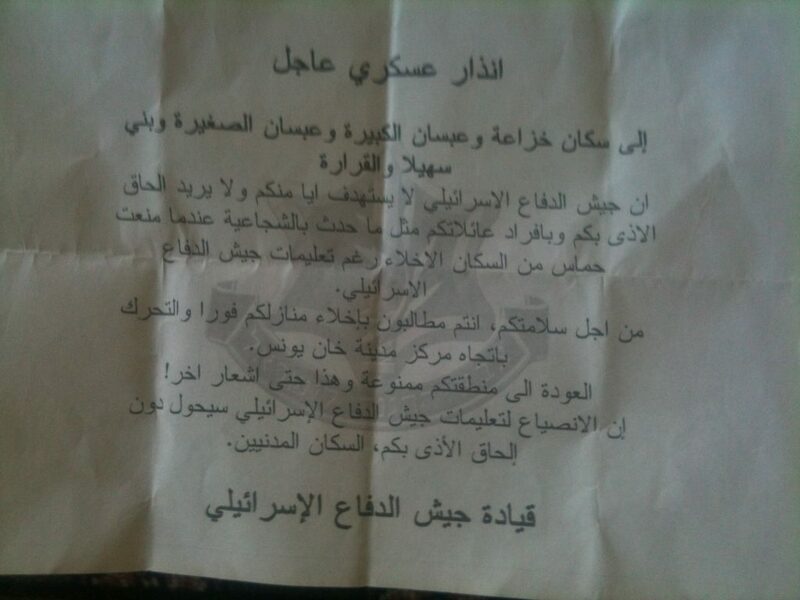 One photo shows a notice from the Israeli military to people living in the villages in the countryside east of Khan Younis, requiring them to leave their homes and go to the centre of the city until further notice. The notice said that if they did not go then they would be in danger. 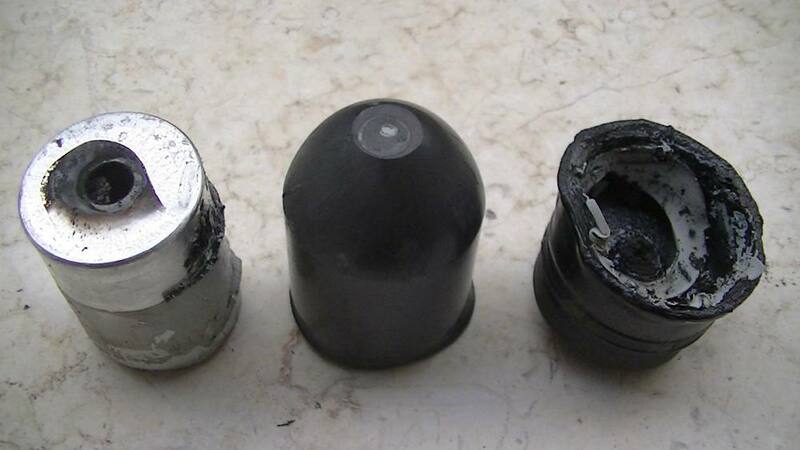 Other photos show shrapnel on the floor and cases for bullets. 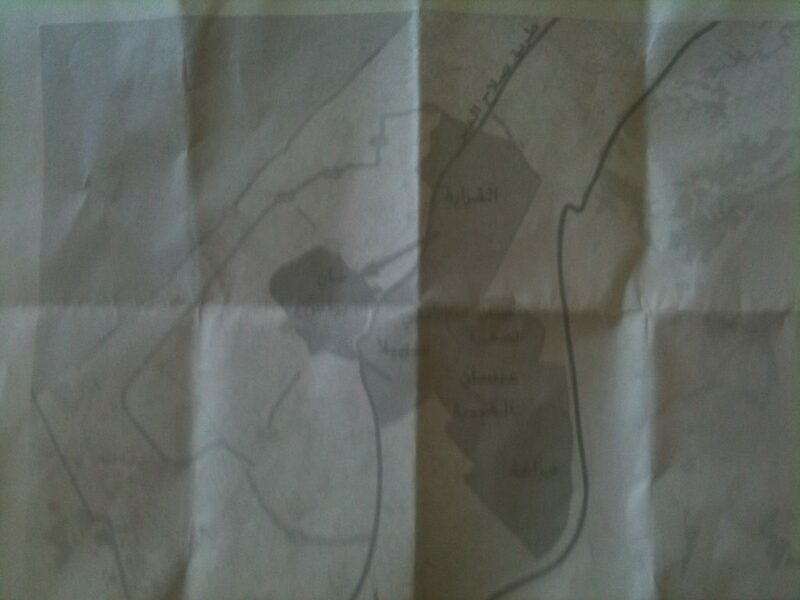 According to an article by Mondoweiss based on first hand accounts, on 23 July Israeli forces entered the village of Khuza’a, firing bullets and artillery shells at people trying to flee. Ambulance crews that had negotiated with the Israeli forces to rescue the wounded were also fired on. 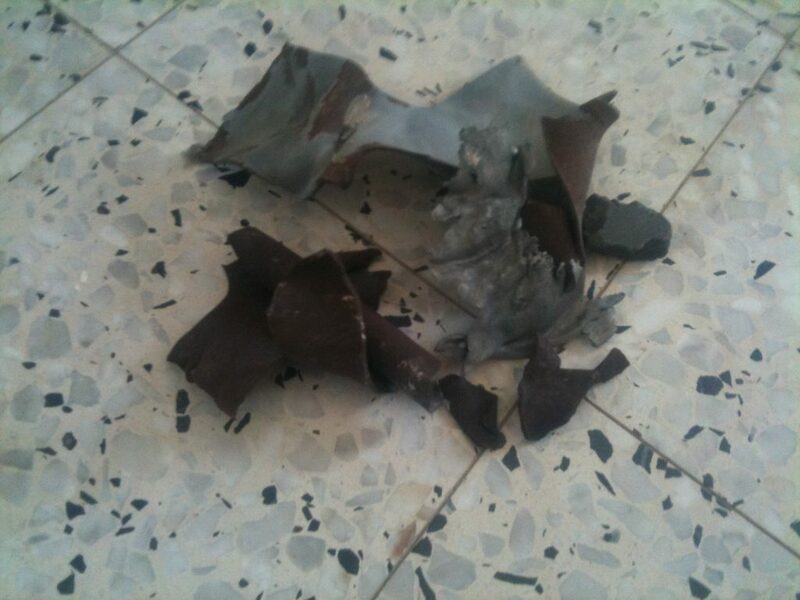 A missile was fired at a local clinic where people were attempting to obtain emergency treatment. Throughout the day medical crews were prevented from helping the wounded. Later in the day, soldiers occupied several houses around Khuza’a, turning them into military posts. People trying to leave the village, many carrying white flags, were fired on with bullets and missiles from planes, helicopters and drones. “My family & I made it out, light injuries. Hundreds of casualties, bodies in the streets. Many of the dead in Khuza’a bled to death bc ambulances unable to reach. From my window I watched a 20 yr old die for hours. 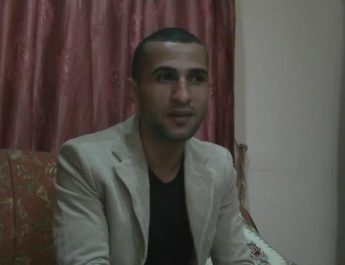 One doctor, Kamal Abu Rjeila, treated injuries that came into his clinic even after it was bombed & his father killed. The Israeli army used ten families as human shields. They took over their homes and wouldn’t let them escape. Home I was sheltering in with 50 others was bombed. I don’t know what happened to them but my shoes soaked in their blood. We escaped to our home under the cover of the dust from the bombing. Minutes later, it was hit by 3 artillery shells. We tried to escape on foot to Khuza’a’s exit, but helicopters fired on us. I saw a woman carrying her dead child in one arm and a white flag in the other. She used the white flag to wrap his body. As we walked I saw my uncle and his son, dead on the road next to their house. Snipers were hitting people in the legs. My other cousin died trying to save his bleeding brother in the street. They died on top of each other. There are corpses still lying in the streets, injured people waiting to become corpses, families who still haven’t escaped”. SAFT is a multinational company headquartered in France. It produces batteries used in the aviation, transport (tram and metro), oil and gas and telecommunications industries as well as for military use. The battery pack photogaphed in Khuza’a was from the US, where SAFT has a significant presence. 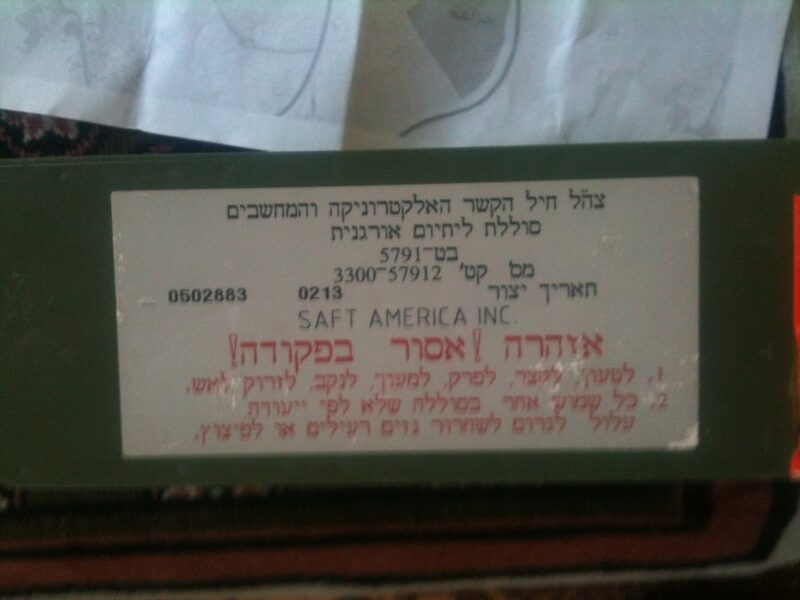 The battery found in the house in Khuza’a had, written on it in English and Hebrew, ‘SAFT AMERICA INC standard issue organic lithium battery, date of manufacture Feb. 2013’. The civil socitety call for boycott, divestment and sanctions calls for campaigners to target companies involved in supplying equipment used by the Israeli military. 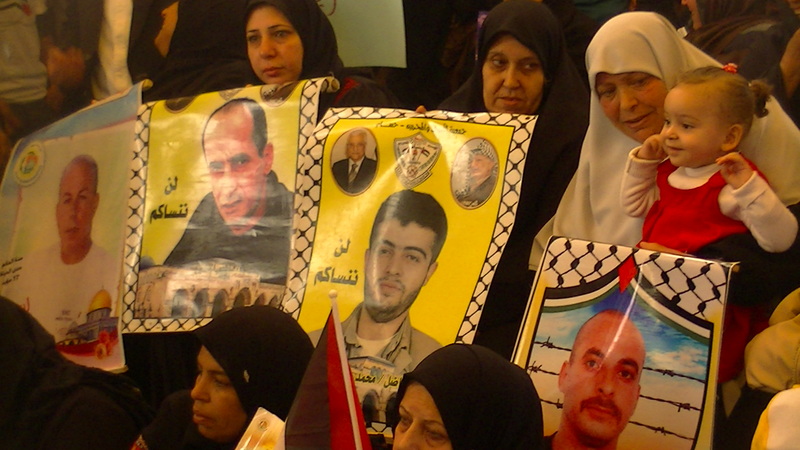 Activists should consider campaigning for SAFT’s non-military contractors to drop their contracts with SAFT over its complicity in Israel’s attacks on Palestinians.